Right now, my hair looks a lot like Skip's on this single-A Dodgers card and that's why I scheduled a haircut for 5:30pm. Maybe they can trim its unkempt sides and fashion me his mustache. Add "Skip Mann" to the roll of great baseball names, especially good for its connotation of being The Man. 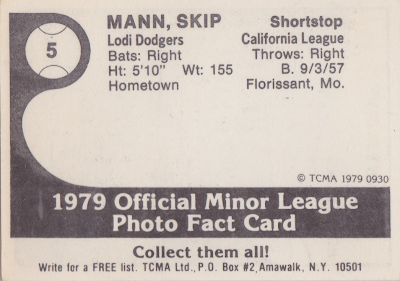 Skip Mann does for the 70s what "Bobo Newsom" did for the 30s and 40s. More recently, St. Louis Softball inducted Skip into their Hall of Fame. Congrats! I like the flower and MLB baseball tie on Mr. Mann, Cubs and Rangers logos most visible. Can't find that specific tie for sale online, but there are plenty of good options out there. 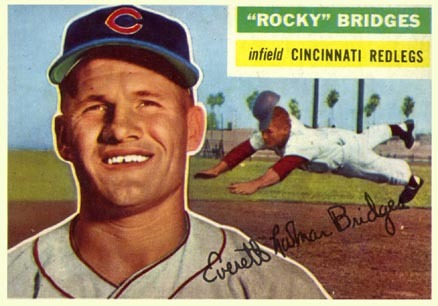 Value: Skip's #5 cost $2 at MinorLeagueSingles.com and most of his teammates would run the same. If there's one boogeyman of low-budget set production like TCMA offered to a growing roster of minor league franchises, it's editing. Tracking stats, player movements, and getting baseball's bevy of unusual names just right take a back seat to finishing, printing, and delivering team sets to their clients on schedule. 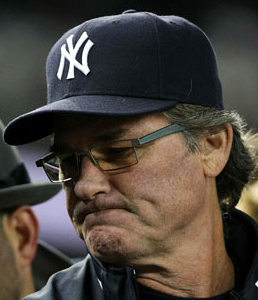 Thus did Danzel, a two-year pro in the Florida leagues, became Denzel, a jersey-and-hat-wearing Jack Black look-a-like. 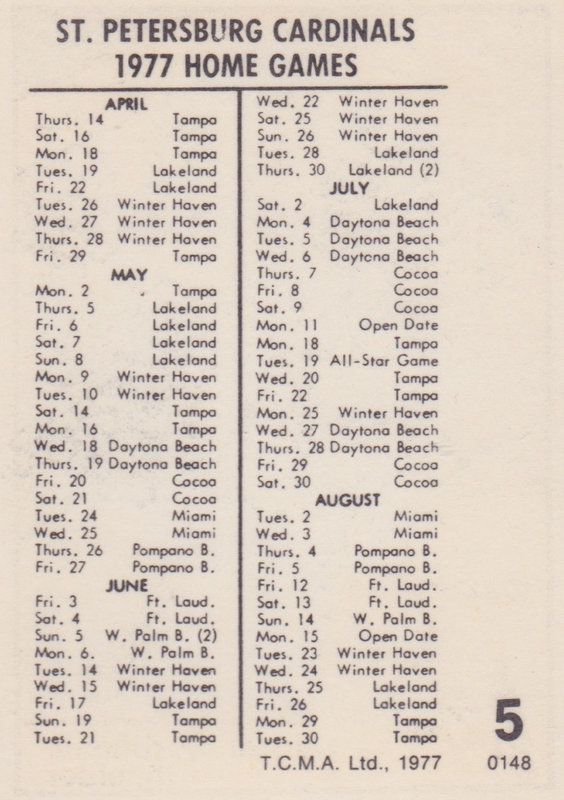 According to Martindale's card back, 35 years ago today--June 28, 1977--St. Petersburg hosted Winter Haven's Red Sox, as managed by baseball name All-Star Rac Slider. I hope they included wacky mid-inning promotions you find at today's minor league parks, like the Bat Spin Race or Mascot Races. 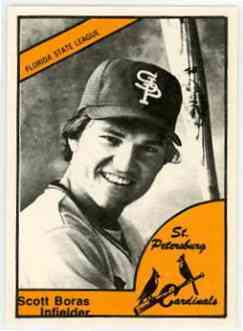 St. Petersburg's TCMA team roster includes 25 players and an unnumbered card for staff member Mike Nagle. Thanks to the Internet, you can view card scans for everyone save Mr. Nagle. Its biggest names include future All-Star Tom Herr and sports agent Scott Boras, who played four years of minor league ball before moving on to legal work and sports representation. One wonders--did Boras pitch his services to former teammates? Given that many of his former clients came back to work for Boras after retirement, I'm thinking probably yes. He came across as sharp and self-possessed as a panel guest at this year's Sloan Sports Analytics Conference, qualities most people like in an agent or employer. This on-site interview says a lot about his current perspective. 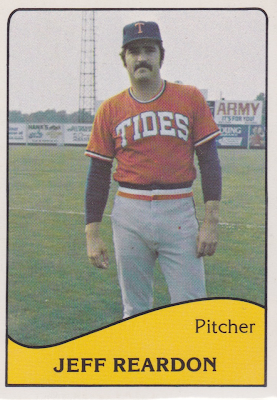 Value: Mr. Martindale cost $2.50 at MinorLeagueSingles.com. "Full" sets might or might not include the unnumbered Nagle, so check with the seller if you want every card. Fakes / reprints: These black-white-yellow cards would be easy to fake with modern equipment, but low demand means few people attempt it. 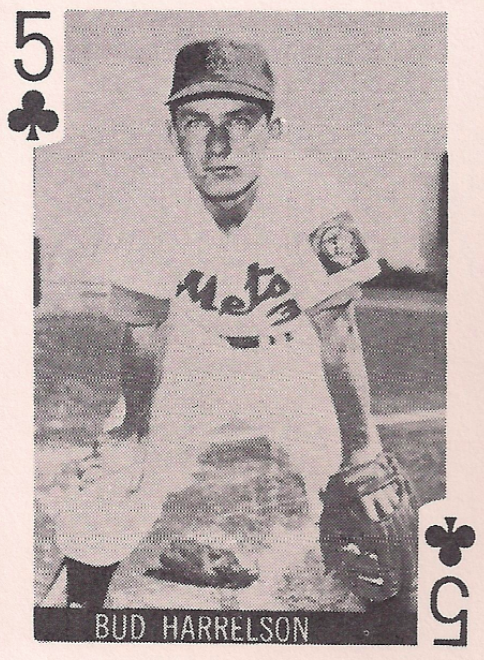 Tom Herr's the riskiest for counterfeits, since his playing peak coincided with a card market boom in the mid-1980s. 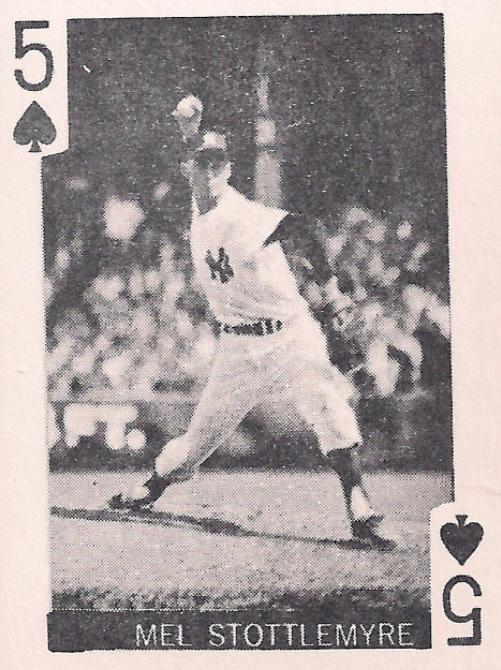 I've seen today's playing card set throughout my two decades of collecting, often mixed into odds-and-ends quarter boxes at shows or set aside for team collectors. It wasn't until recently, however, that an SCD taught me they're an "official" set--printed by the Globe Imports company--and not just a fan project made with old photos and copy machines. Printed with blank backs and no company info, these small (~1.5" x 2") cards come on cheap paper and look like a one-weekend job. 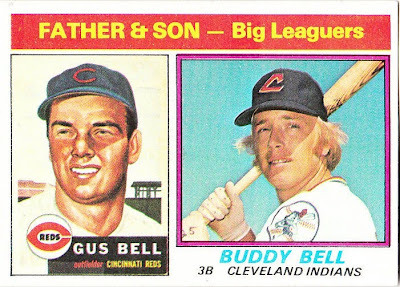 Globe Imports distributed them via gas stations in southern states and they might not've been an MLB-approved product. 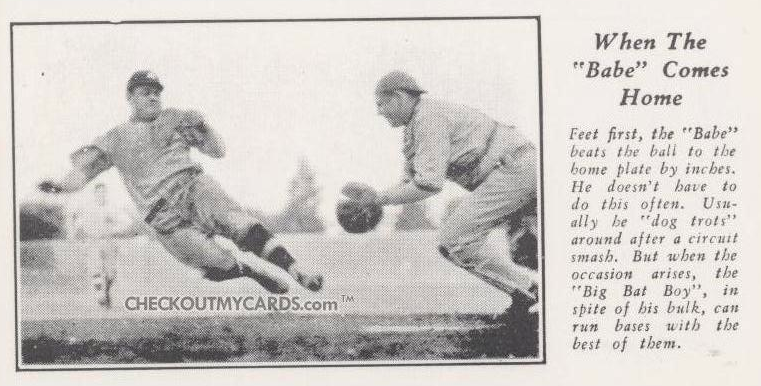 Baseball's players union started licensing player images in the late 1960s, so Globe might've paid them for the photos instead of working through team ownership. Or they might've told (and paid) no one, as hinted by an example below. Most of the set's 52 suited cards match up to one player, but a handful get two variations. 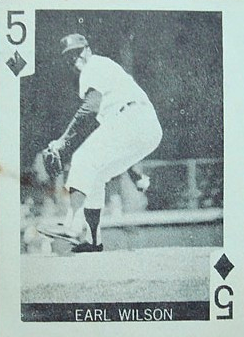 There's also a joker, making 59 cards in all. See the PSA registry for a master set checklist and several scans. 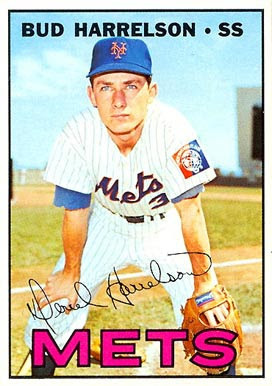 Bud's one of the few players with a head-on photo. Unfortunately, this shot also confirms another reason Globe cards get the hairy eye from collectors: it's a direct copy of 1967 Topps #306. 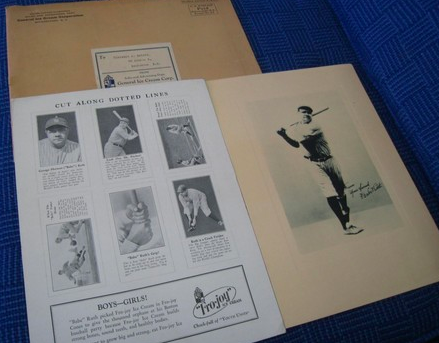 Value: The KeyMan Collectibles profile named four key players: Drysdale, Mantle, Mays, and Yaz, which might cost a few dollars. Most singles belong in quarter boxes, thanks to poor production quality and low demand. Fakes / reprints: It'd be easy to reproduce these grainy, black-and-white cards with modern equipment, so I hope their low value keeps people out of that mindset. Fellow blogger Fuji's running a "favorite card" survey over at his Chronicles that asks readers to pick their top vintage or 90s insert. I won't keep you in suspense, mine's this classic right here. The above Jackie Robinson card made an easy pick, as it's the card that sparked a pursuit of 1956 Topps, my overall favorite set. 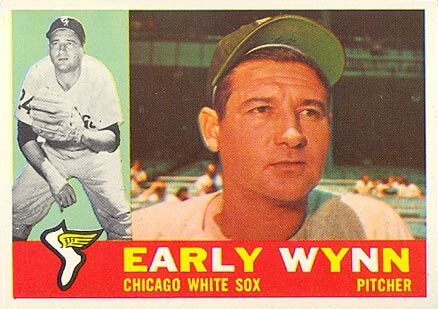 I originally bought two of this #30 to get both grey and white back variations, but traded one away some years ago--probably to land another star from the same set. Thanks to today's many reprints, you can find both originals and modern versions at shows or online. The second scan's nicked from 2001 Topps Archives #410 on COMC and costs a fraction of Jackie's vintage cards. Almost everyone can afford a dollar, right? Got a favorite card to call out? Stop by Fuji's blog and chime in. Thanks for all the entries so far in my Fourth Anniversary Giveaway! The contest ends Friday, so there's about 30 hours left to throw your name in the hat. Here's another vintage HOFer that'll be part of the fun, confused expression and all. Fuji's running his 3rd annual The Chronicles of Fuji, requesting your flea market finds. 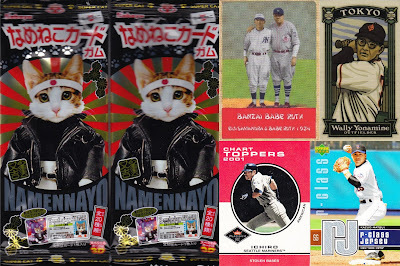 How can you ignore a prize package with samurai headband cats? You can't. 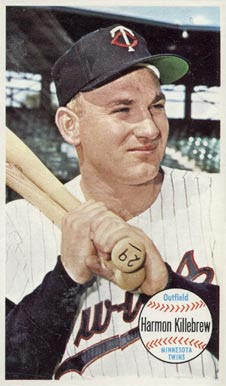 Visit the buffet of BA Benny for Legends of the Hall (and a contest), whose prize includes HOFers Clemente and McCovey. SportsCardBlog.net is gifting a pair of autographs for fans of the NBA (Bob Sura) or NHL (Colin Greening). "You did WHAT with the cup?" a.k.a. dgreen1899's LA Kings-themed giveaway. Did I miss any? Add a link below! The first #5 type card profile went up four years ago yesterday. 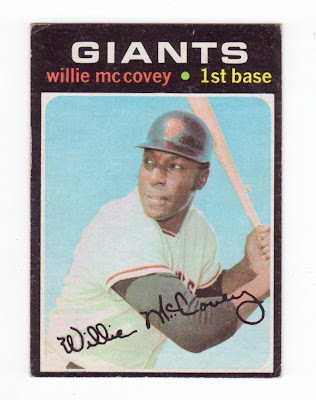 Big, cardboard-y thanks all who've read my blog, follow tweets @Number5TypeCard, or just enjoy a nice vintage set from time-to-time. 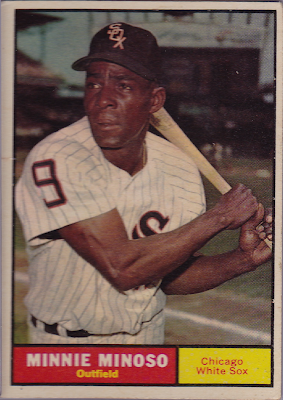 TRIVIA: Killer didn't wear #29, so that bat belonged to Julio Becquer (1961), Wally Post (1963), or Chuck Nieson (1964), depending on the photo year. WHAT'S UP FOR GRABS: 1950s-60s HOFers, including the above Killebrew. Exact number of cards depends on number of entrants and links, as below. June 19 UPDATE: Winners are picked and posted! 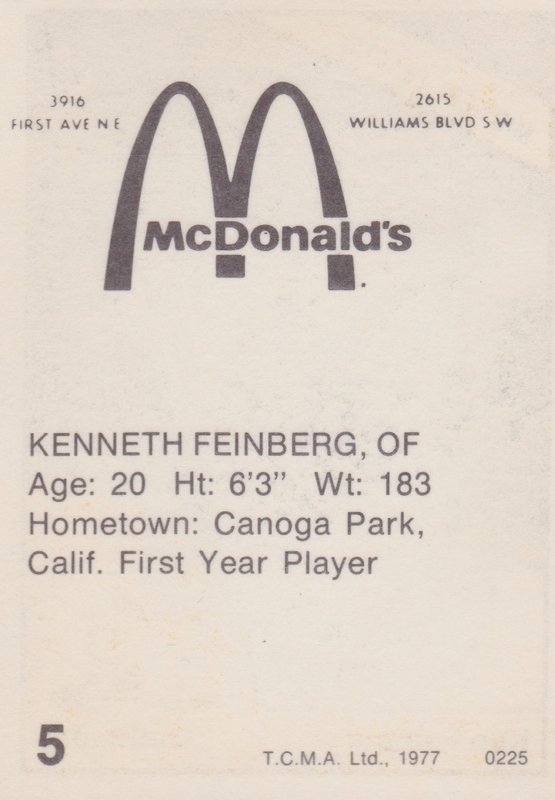 This young Kenneth Feinberg ("e," not "u") spent three years in Iowa and California pursuing his dream of pro ball, collecting 252 hits and 34 minor league homers along the way (career stats at B-R.com). Ken hit well as an everyday player at 22, but made few appearances thereafter and might've struggled with injuries or set off-the-field goals that eclipsed a long-term baseball career, like so many before and after him. TCMA kicked off their minor league sets with Cedar Rapids in 1972, so today's Creamsicle color combo marks the sixth straight year that fans from Iowa's second-largest city could take home local baseball heroes, starting with the players below. Two local McDonald's signed on as co-sponsors for TCMA's set, but are they still operating at 3916 First Ave N.E. and 2615 Williams Blvd S.W. in Cedar Rapids? 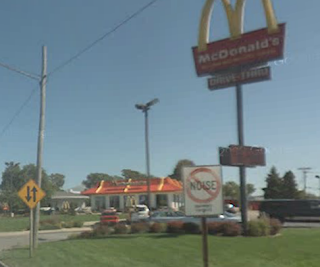 The latter location is, despite that buzz-killing NO NOISE sign Google Street View spotted at its entrance. 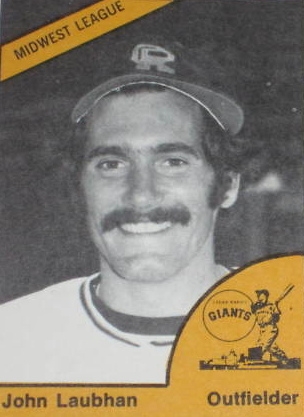 1977's checklist includes 24 numbered players and one unnumbered, late-season addition (John Laubhan). Many online sellers call Laubhan's card "rare," but I'll believe something's hard-to-find when Google can't spit out online images on the first try. Value: Fulls sets cost about $20 (with Laubhan's card adding a premium) and singles cost a few dollars. Fakes / reprints: Haven't seen any in the marketplace. If Laubhan really is rare, it's likely someone tried to fake the card for the sake of scarcity. 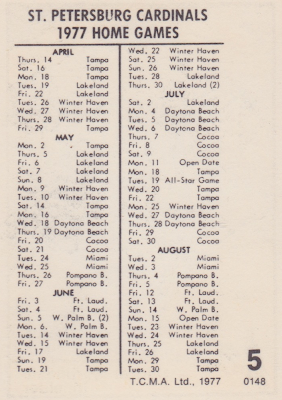 As minor league publishers TCMA and Cramer Sports Productions grew to serve more and more of America's "small-park" cities, fewer and fewer franchises printed their own team set. Today's #5 came from one of those few. The 89ers editor did an OK job (pun intended) with their presentation, but black-and-white comes off flat compared to contemporary color options used by teams who did take advantage of companies like Cramer. 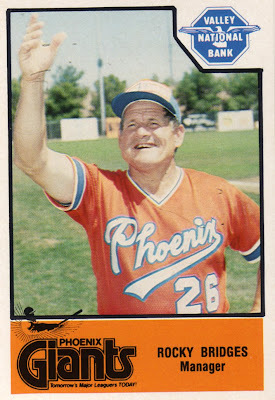 This Phoenix set (starring manager Rocky Bridges) came out the same year as DeMeo and that orange really jumps off the card. I was glad to see most minor league teams using color just one year later (1980 TCMA #5 profiles). 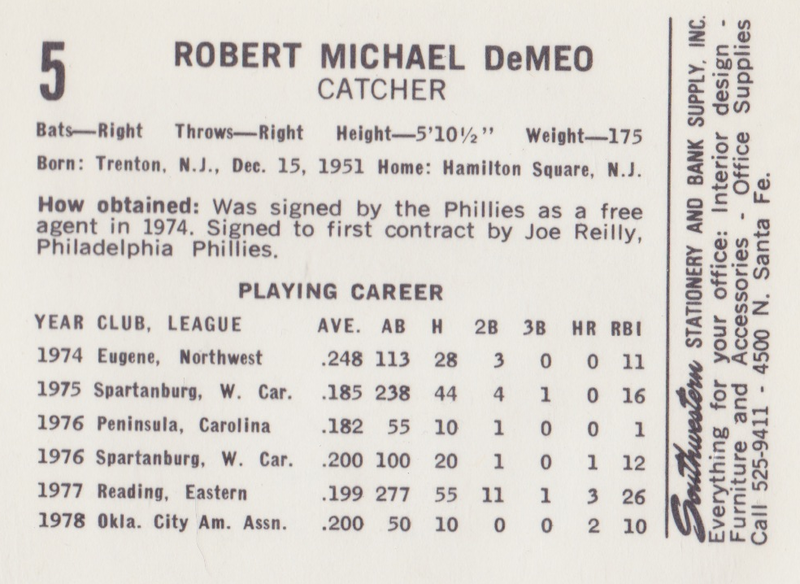 Robert's 1978 Mendoza line matched his career batting average, which might explain why he never reached the majors as a player (career stats at B-R). 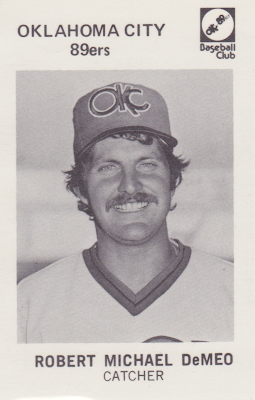 DeMeo stayed with Oklahoma City through 1980 but appeared in just two more games and likely spent that non-playing time coaching younger players or prepping for a life after baseball. 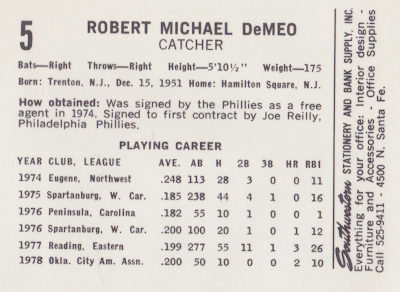 This 89ers set checklisted by uniform number, with #4 pulling double-duty for Lee Elia and Lonnie Smith. 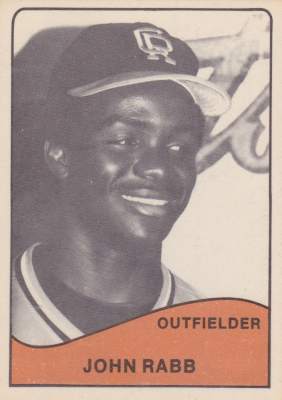 Lonnie played a full season for OKC, but also appeared on 1979 Topps #722. Value: This #5 cost $2 at MinorLeagueSingles.com. Fakes / reprints: Many of this set's players reached the majors, but few were famous enough to be worth faking their minor league cards. 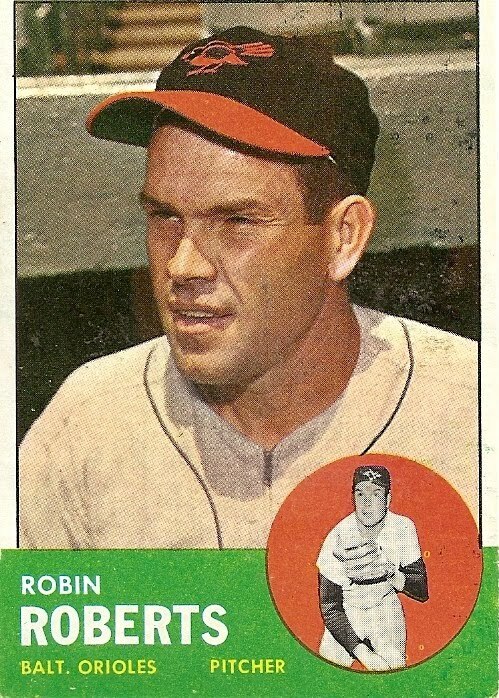 UPDATE: Guru mentioned Rocky's interesting pose choice--let's not forget his all-out 1956 Topps card. 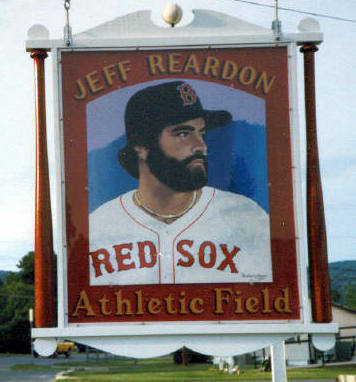 Jeff's hometown is close to (but not quite) the stated Pittsfield, MA. 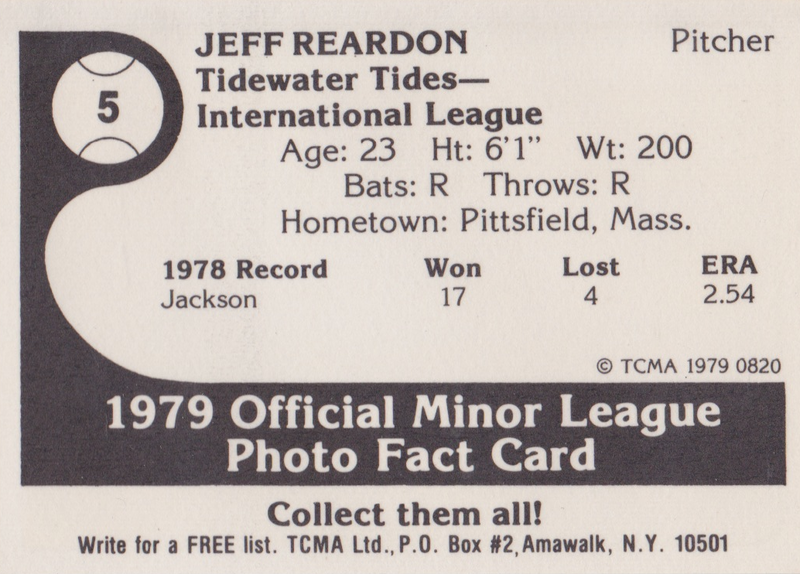 The nearby Dalton raised Reardon and dedicated him a ball park in 1990, pictured in the home state Red Sox cap he wore from 1990-92. Cardboard Zoo compiled a bunch of info for this TCMA set in 2011 and pointed, in turn, back here. Don't get caught in a link-following vortex! Value: Semi-stars like Reardon run more than typical TCMA singles and this #5 cost $6 at a dealer on Beckett Marketplace. 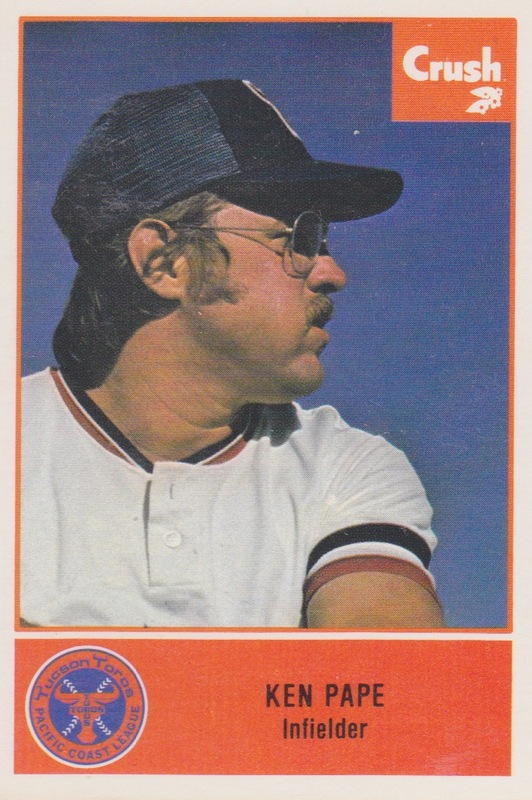 You might look at a 1977 Tucson Toros card and see a disco mullet, meshback hat, and triple-stripe jersey. I look at this #5 and see the height of conservatism next to their upcoming guacamole fiesta, captured forever in the 1980 TCMA set. Jersey devolution aside, thumbs up to the editor's "Orange Crush" border and Kurt Russell look-a-like photo choices. Eerie resemblance! 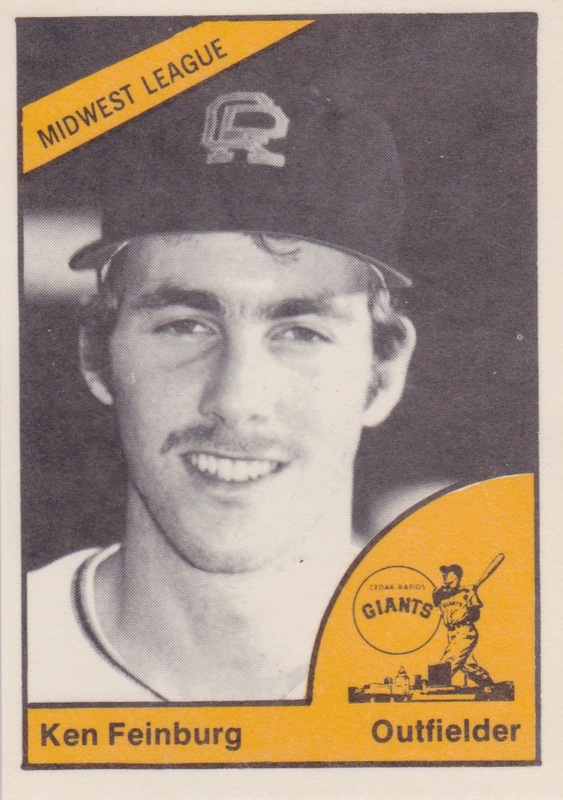 Kurt--I mean, Ken--spent 21 games on the Texas roster in 1976 and hit his only MLB homer in baseball's equivalent of "garbage time," late in a 13-3 drubbing at the hands of AL West rival Oakland. Pape also wore uniform #5 for his time with the Rangers, a nice bit of numerological synchronicity. 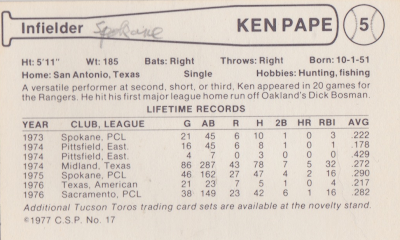 Following that inspiration, the box score for Ken's single homer overlaps with several other #5 luminaries. Sal Bando: played everyday for two years? The heck you say! 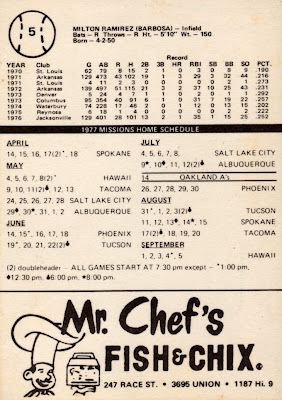 Prior to becoming Pacific Trading Cards and chewing through an MLB license during the junk wax era, Cramer Sports Productions competed with TCMA for 1970s minor league attention. 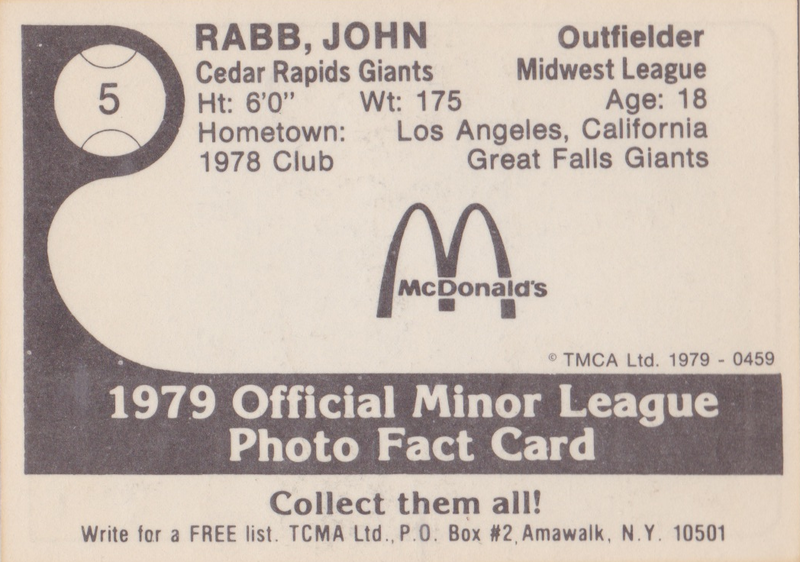 1977 marked their first year in full color, which they brightened further for Southwestern teams like the Albuquerque Dukes. 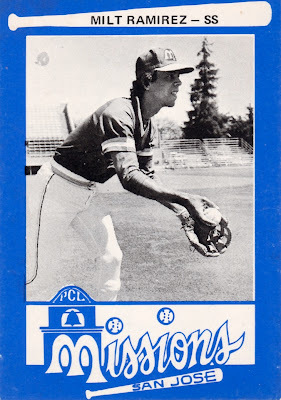 Tucson's checklist went by uniform, with trainer Chip Steger receiving the single unnumbered card. 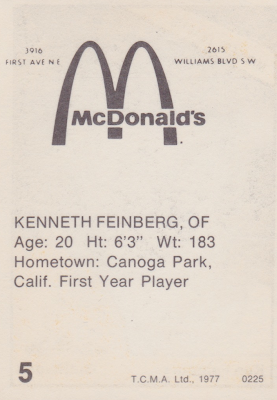 Value: Ken's #5 cost me $2 at MinorLeagueSingles.com. Teammate Len Barker later hit the apex of MLB success by throwing a perfect game (video highlights at MLB.com) and might run a little more. 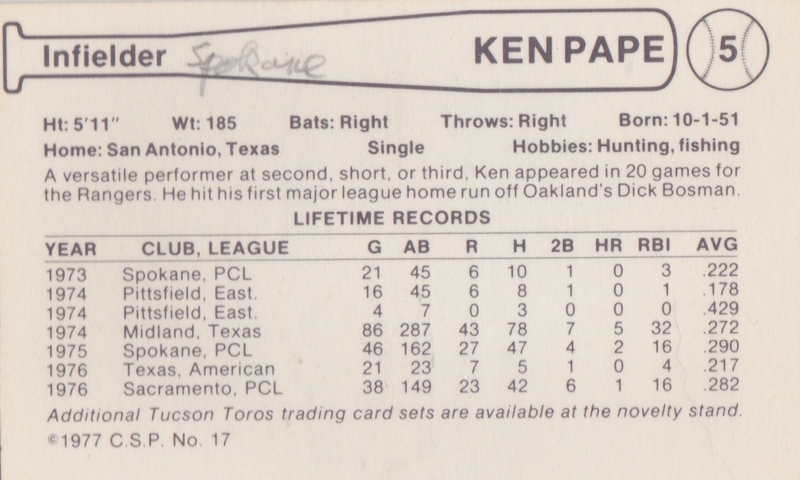 Fakes / reprints: I doubt anyone on Tucson's roster found enough collector interest to be worth reprinting, other than immediately after Barker's perfecto. A 29 year-old veteran of 10 seasons at every professional level, Milt Ramirez spent just 1 year in San Jose due to their brief affiliation with Oakland. 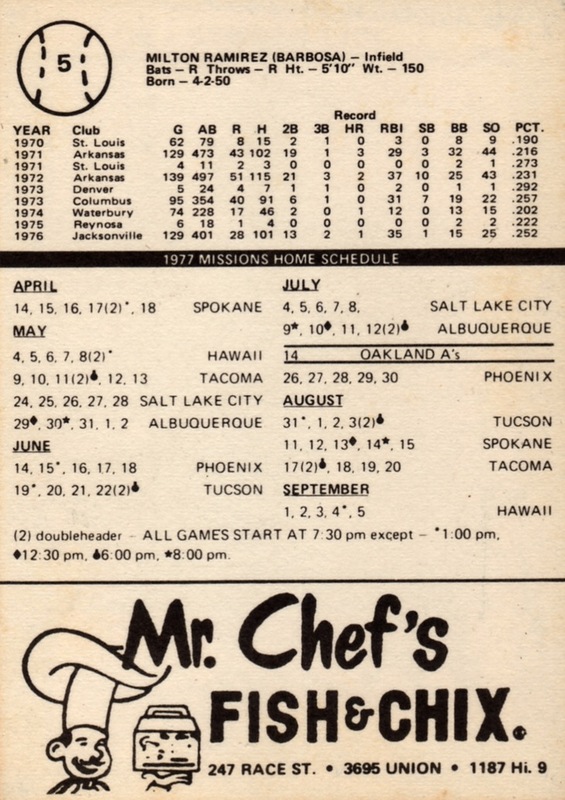 As mentioned in two other Missions #5 profiles (1978 here and 1980 here), Seattle "took over" the minor league club in 1978, so the A's moved their AAA team to Vancouver, with Milt in tow. 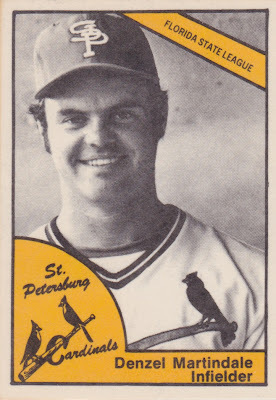 The card calls Milt a SS, but he actually split 100 games almost evenly with 3B and even played 8 games at 2B. 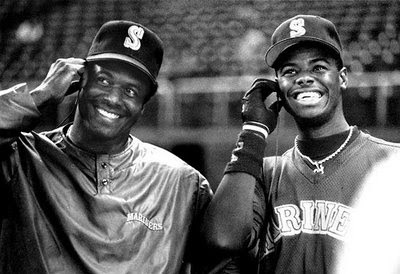 Two different stints at the big-league level yielded a .184 average and 31 OPS+, so let's assume he knew how to turn a double play. Baseball-Reference.com contains a vast quantity of info, from stats to oh-so-many-more-stats. Near the bottom of each player page sit Transactions, a log of known movements between teams. While fairly regulated now, plenty of mystery swaps happened in earlier years. 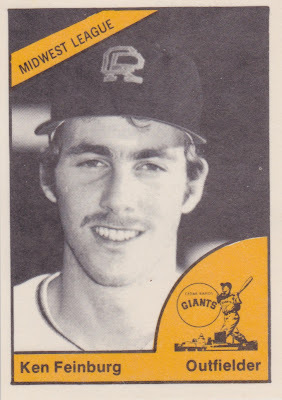 Before 1974 Season: Sent from the Houston Astros to the Los Angeles Dodgers in an unknown transaction. 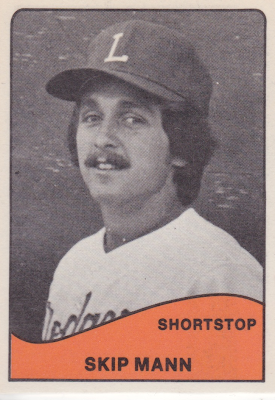 Before 1975 Season: Sent from the Los Angeles Dodgers to Reynosa (Mexican) in an unknown transaction. 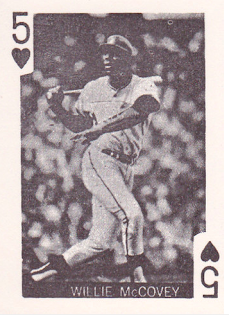 Before 1976 Season: Sent from Reynosa (Mexican) to the Kansas City Royals in an unknown transaction. Before 1977 Season: Sent from the Kansas City Royals to the Oakland Athletics in an unknown transaction. Value: Milt came in a package from MrMopar! Check out my write-up on this gift. 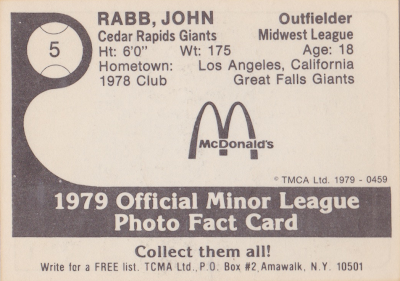 Fakes / reprints: Doubt folks would try to fake non-star minor leaguers and haven't seen any in the market. Ice cream! As a Wisconsin native, that "dessert" (for me, that means "any meal of the day") figures into both daily life and this blog's traffic, as one of my enduringly popular profiles is a six-card set of Fro-joy spokesman Babe Ruth from 1928, at the peak of his fame. It doesn't matter than #5 shows only his hands--see them in my #5 profile--any collector would be happy to own one. 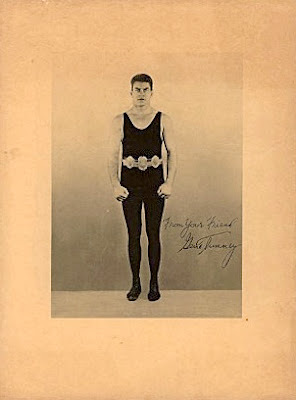 Fro-joy wasn't the earliest company to sign a sports hero to endorsement deals, but they might've been first to get both home run and heavyweight champs, as they started with this six-pose Gene Tunney set in 1927. Cards show the champ wearing training gear (#1-3 & #5), suit (#4), and even a Tarzan-like glare (#6)--see the whole set at auction on HugginsAndScott.com. "I must eat those things which are good for me--that's why I eat Fro-joy ice cream while training for my next fight." Gene Tenney might've been paid to say those words, but he sure speaks my language. 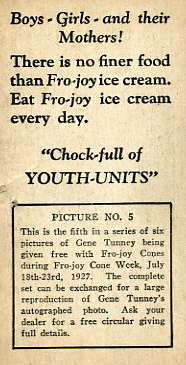 Fro-joy claimed to be "Chock-full of YOUTH-UNITS" for this era, but what did they imply YOUTH-UNITS were? 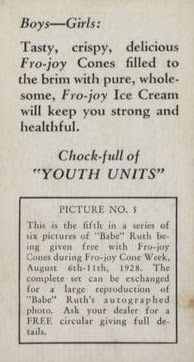 Based on card text, ice cream offered several benefits. 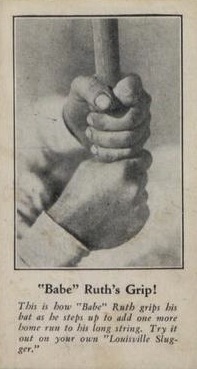 Cards backs advertised a swap of the complete set for this large photo and place their original issue as Fro-joy Cone Week, held in mid-July, 1927. I imagine the Babe Ruth set debuted in similar circumstances, with additional availability by mail. Value (updated June 2018): I picked up #5 for $54 off eBay. 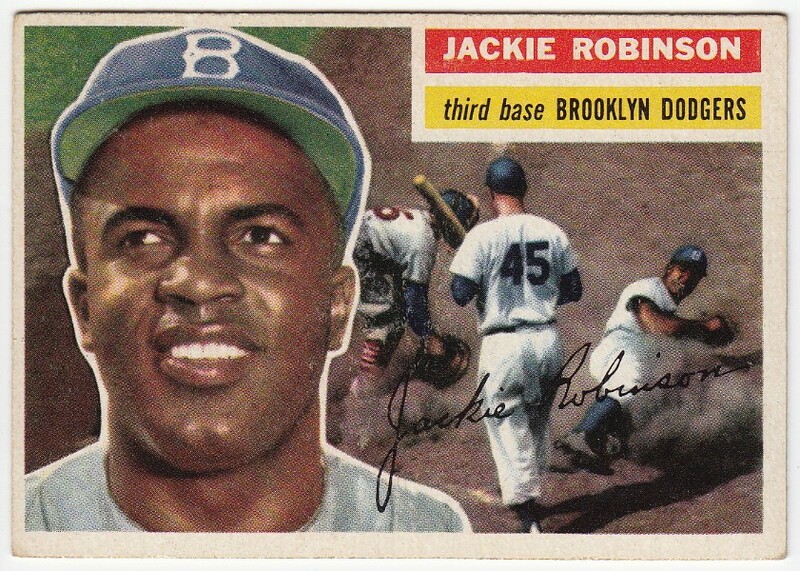 Doubt that any individual cards costs more than another, with the possible exception of his ringside shot (#3). Fakes / reprints: Someone of Tunney's stature would probably be reprinted early and often for boxing collectors. 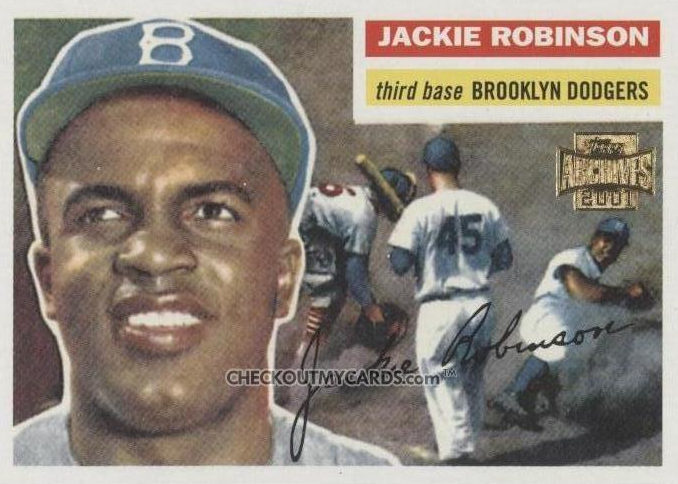 Take similar precautions buying his cards that you would with Ruth and be wary of modern fakes.